I’m in Addison, Texas (near Dallas) today with Nancy Breitfeller from the Greenhill Cultural Arts Committee. Nancy arrived at the hotel to pick me up this morning, then bought me a latte…gotta love that. Greenhill is a private school. Their sister school, Herbert Marcus, is a public school. I love contrasts like this in the same day. The schools are quite different, but the kids are the same. I had a great time at both schools. 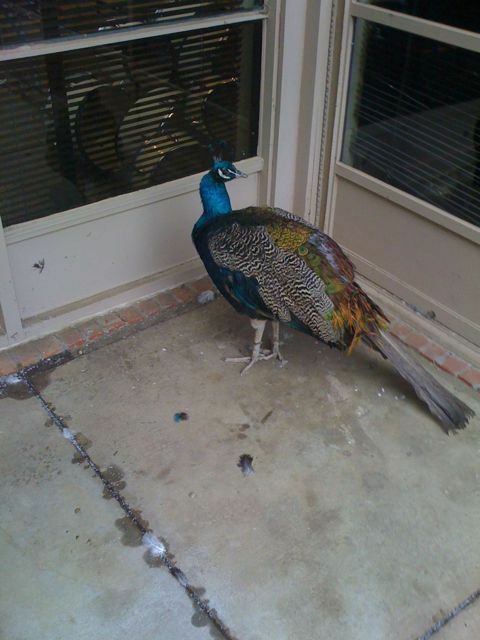 Greenhill has pea fowl wandering the campus. The one below is unhappy because of the pouring rain.